Across the logistics industry, executives continue to rely on legacy transportation management systems (TMSs). Traditional TMS software exists on a single computer or unified internal network and, while these systems consolidate freight data, investing in cloud-based TMS tools can drastically improve overall company efficiency and revolutionize the way supply chain leaders handle transportation. As opposed to outdated legacy systems, cloud-based TMS solutions integrate across multiple devices, aggregating data from internet-enabled components all along the supply chain. These modern TMS solutions are accessible from virtually anywhere on any device, making them exceedingly desirable for supply chain leaders. In fact, cloud-based TMS technology is potentially the greatest tool at the disposal of supply chain leaders in today’s complex transportation industry. Shippers’ supply chain decision-makers are updating to cloud-based systems to obtain a number of substantive benefits. 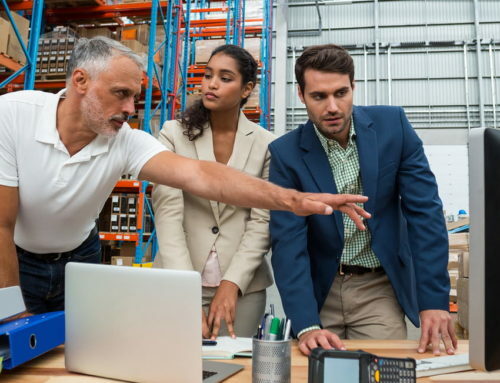 Now leaders will have access to detailed data, to monitor, identify, and address inefficient points in the supply chain, ultimately saving them money. In addition, using cloud-based TMS application allows companies to consolidate a number of managerial tasks into one easy-to-use platform as they can integrate contracts, monetary exchanges, and more into this single application. Also, cloud-based TMS solutions provide shippers with the ability to rapidly and effectively adjust to changing industry trends. As transportation technology becomes more advanced and complex, today’s transportation provider fleets must integrate more comprehensive communications systems. Providers’ cloud-based solutions gather and consolidate real-time data into a user-friendly TMS dashboard. Having updated shipment information in one convenient place, along with all other operations information makes the data more usable for supply chain leaders. The data consolidation these applications now deliver leaves legacy TMS tools unable to fully utilize the benefits associated with modern transportation technologies. Another primary benefit of cloud-based TMS technology is ease of implementation. Thanks to an increasingly interconnected world, supply chain leaders can now rely on integrated TMS software that provides real-time data regarding freight shipment updates around the globe. Because cloud-based TMS software is easily accessible from virtually any internet-enabled device, it’s possible to manage the supply chain from anywhere in the world. But these companies aren’t just making the transition to cloud-based TMS tools to improve their own internal business workings. Changes in consumer demands are also requiring them to pursue more complex and involved supply and product delivery chains to benefit their customers and end users. 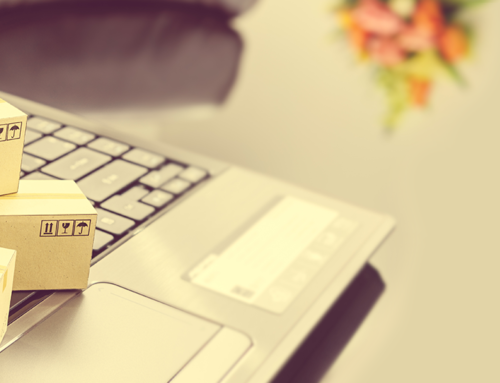 The continued rise of eCommerce, for instance, is forcing logistics decision-makers to move products to shipment even more rapidly when they receive orders and invest more heavily in “last-mile” transportation solutions. Cloud-based TMS software makes it easier to track individual incoming shipments and product locations in warehouses, thus making it easier to mobilize them for last-mile delivery and allowing logistics leaders to provide clients with up-to-the-minute updates regarding the status of their individual shipments. Supply chain leaders looking to leverage the benefits of a cloud-based TMS application have a number of variables to consider. Not all TMS solutions are created equal, which means those willing to invest in TMS software should carefully research which cloud-based solution will meet their needs most accurately. Most comprehensive cloud-based TMS technologies that consolidate tasks such as vendor integration, shipment creation, order management, spot quote, shipment visibility, and more. While some period of adjustment after adoption is normal, the software should ultimately reduce inefficiencies and improve workflows while allowing supply chain leaders to provide a positive return on investment. nVision Global’s iMpact TMS offers a full suite of Logistics Management applications that allow shippers to have visibility to their supply chain beginning with negotiated rates to shipment creation/execution and management, all the way through the freight invoice audit and payment. By partnering with transportation providers, customers and their vendors around the world, nVision Global has developed solutions that allow seamless integration and visibility for everyone involved. Is Your TMS Helping or Hindering? How Transportation Management Solutions benefit Small Package Shipping?